The Belt and Road Initiative (BRI) is China’s initiative on regional economic cooperation. China would also like to integrate its judicial system in implementing the BRI. China Justice Observer (CJO) is ready to present you how this goal will be achieved in China. Chinese expert Prof. Yongping Xiao indicates, if China wishes to promote the Belt and Road Initiative (BRI), improvements in the international credibility of the Chinese judiciary is required. 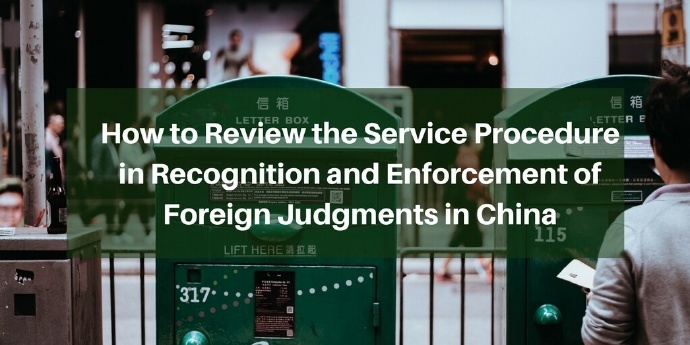 The service procedure is one of the key matters reviewed by Chinese courts in the recognition and enforcement of foreign judgments. There is no specific stipulation in China, at present, about how to review the procedure of services. Nevertheless, we attempt to learn the practices by Chinese courts from relevant decided cases. Chinese courts have long been perplexed by the problem of how to accurately ascertain and apply foreign law. There is a tendency to apply the lex fori, i.e., Chinese law, which is familiar to Chinese judges, on the grounds of failure to prove the foreign law, due to the fact that the judges lack convenient means in ascertainment.